St Mary's01263 715779work01603 870304fax Self-cateringOnly a ten minute stroll from the beach at West Runton, St Mary's has sea and country views. Offering the ideal home for a seaside break, the beach at West Runton is pebble and sand and has plenty of rock pools for exploring. If you wish to explore further afield, the beaches at Cromer and Sheringham are close by, as are attractions such as the Shire Horse Centre and the North Norfolk Railway. 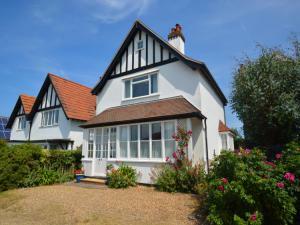 Only a ten minute stroll from the beach at West Runton, St Mary's has sea and country views. Offering the ideal home for a seaside break, the beach at West Runton is pebble and sand and has plenty of rock pools for exploring. If you wish to explore further afield, the beaches at Cromer and Sheringham are close by, as are attractions such as the Shire Horse Centre and the North Norfolk Railway.